From Sunday 4 November, access to bus Route 624 at Murrumbeena Station will be improved. Route 624 Kew to Oakleigh will continue to stop on Neerim Road. This stop will be relocated closer to the new station entrance. 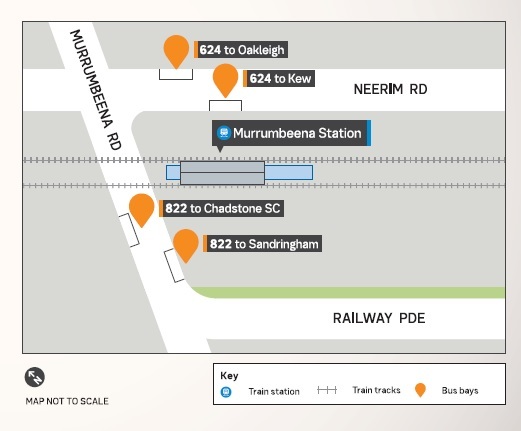 The below image shows the location of the new bus stops on Murrumbeena Road and Neerim Road.